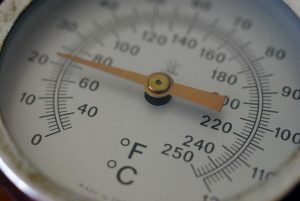 Discussing the weather with Americans often includes the need to convert Celsius to Fahrenheit temperature scales. Friends in Europe complain of heat when the temperature is 35° and my first thought is 35° is a pretty cold day. 35 °F is barely above the freezing point of water. I also know 35 °C is the same as 95 °F. I have to do that conversion to agree with my friend’s opinion of a hot day. Fortunately, it is easy to convert Celsius to Fahrenheit. where °F and °C are the temperatures in Fahrenheit and Celsius respectively. For those who don’t like working with fractions, use 1.8 in place of 9⁄5. Question: Room temperature is often given a value of 25 °C in homework problems. What is 25 °C in °F? Plug in 25 into the °C part of the equation. Answer: 25 °C is the same as 77 °F. 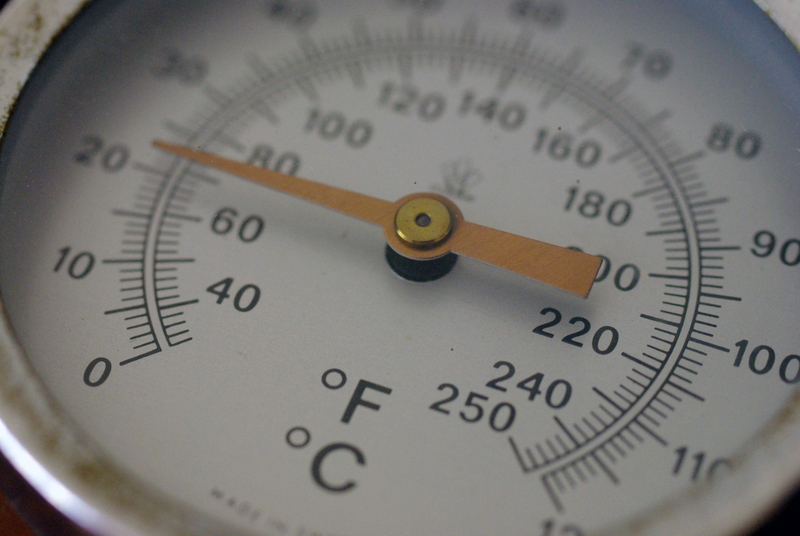 When Does Fahrenheit Equal Celsius? ← Why Is Wasabi Green?